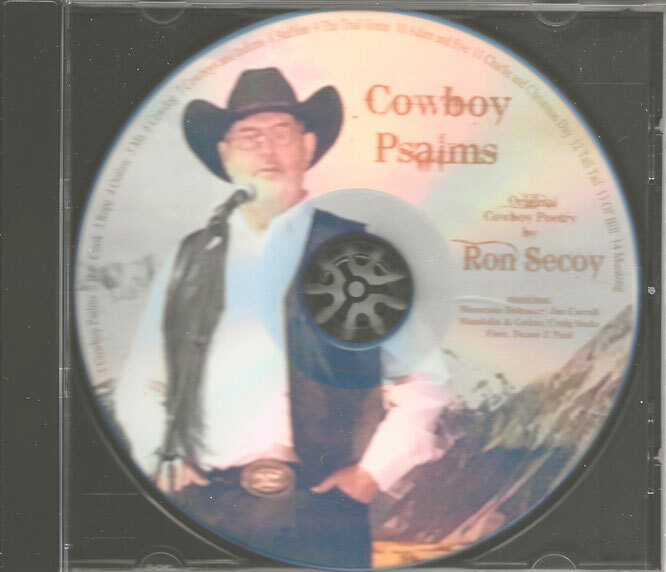 Rather than being a specific statement of content, “Cowboy Psalms” is actually the title track of the newest release from Oklahoma poet Ron Secoy. In truth most of these tracks are religious, some less so. But all are lessons. Picks here include the title cut “Cowboy Psalms” (equating herding herds and herding words), “Outlaw” (an O. Henry-worthy encounter at a campfire), the barroom braggin’ piece “Tall Tail” (his spelling not mine), “Adam & Eve” as cowfolk, “Ol’ Bill” and “Mustang,” an unusual healing horse story set to Indian flute accompaniment. Secoy’s delivery is straightforward, clear and deliberate…as are the points of the stories. When I received it, I had first thought the CD must be an early release sent ahead of cover art and a tray card being ready. But in phoning Secoy, I found this was not the case…or rather, I was looking at the complete case! I fear it will hurt the album gaining radio/online airplay and certainly will knock it out of any award eligibility in the Fall. But it’s listenable and orderable, and maybe that’s the artist’s main consideration. Fourteen tracks.